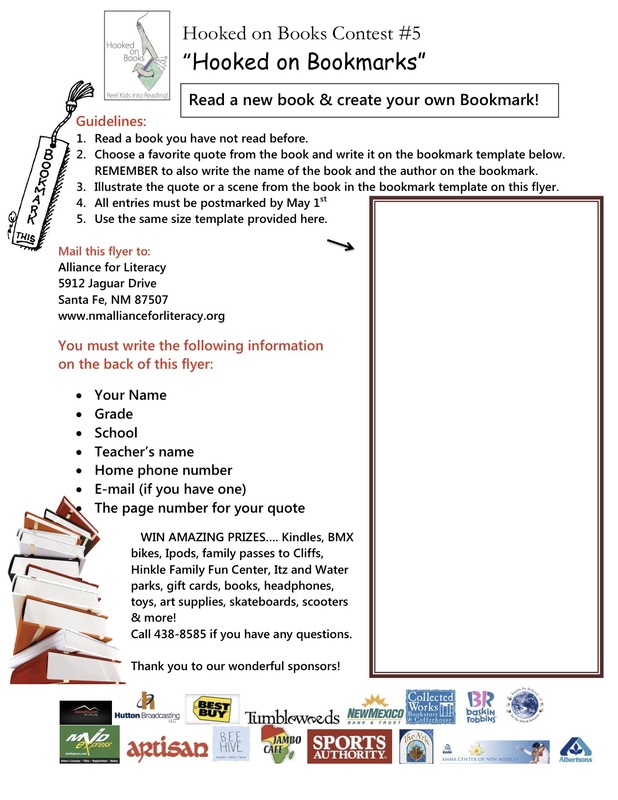 8.5” x 11” sheet of paper or card stock. It can be typed or handwritten, in Spanish or English. : Your recipe must also include illustrations for at least half of the ingredients. : Grades K-2 need at least 5 ingredients, Grades 3-5 need at least 10 and Grades 6-12 need at least 15. Be sure to write the Book Title and Author on the front of the recipe. 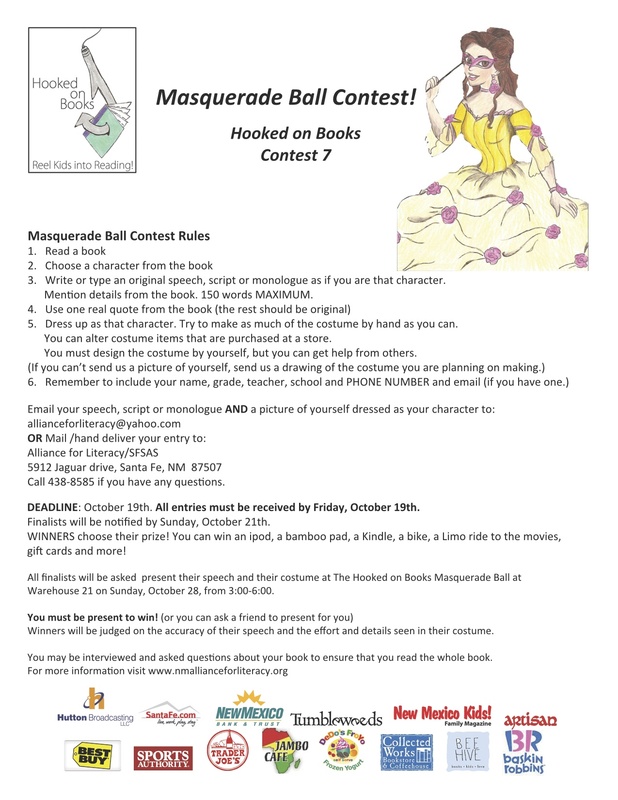 For the FULL CONTEST RULES, click on a link below. 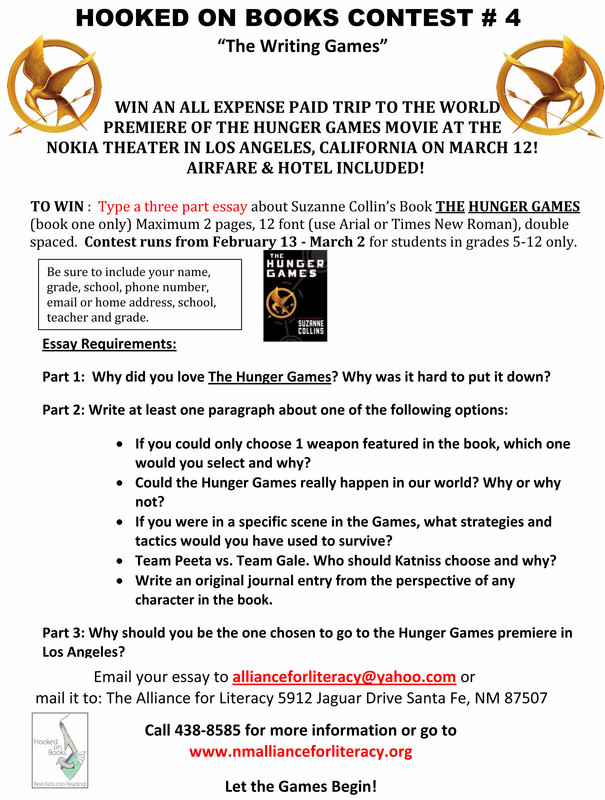 Additional Information:You could win a trip to the Hunger Games movie premier in California. 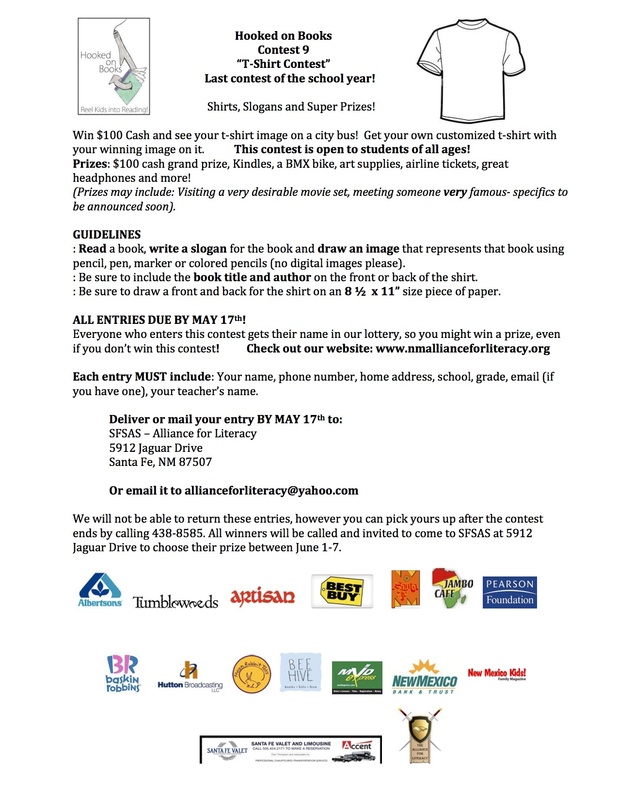 Contest deadline passed. 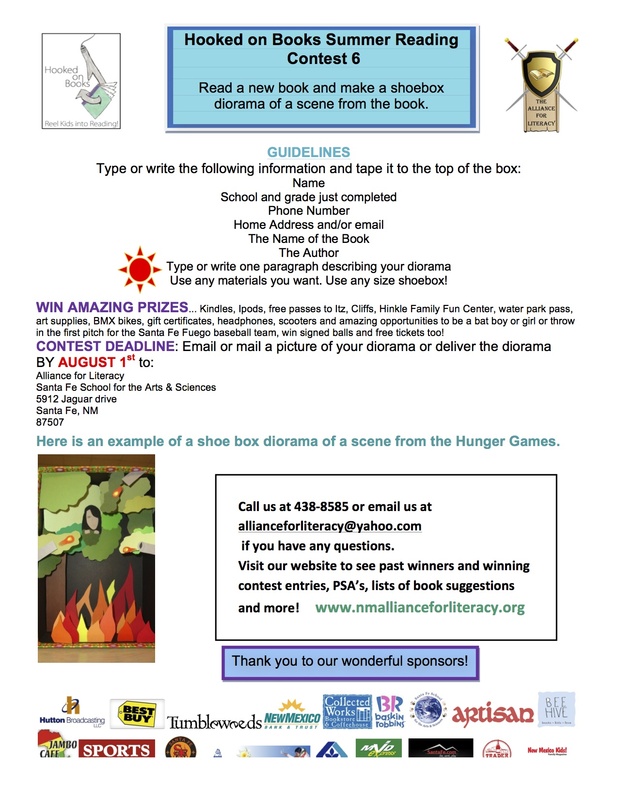 We received 150 entries from 28 schools. Additional Information:The prizes for Contest #3 include: iPods, Kindles, concert tickets, be a DJ for an hour on the radio, recording studio time, BMX bikes, skateboards, headphones, scooters, gift cards and lots more! 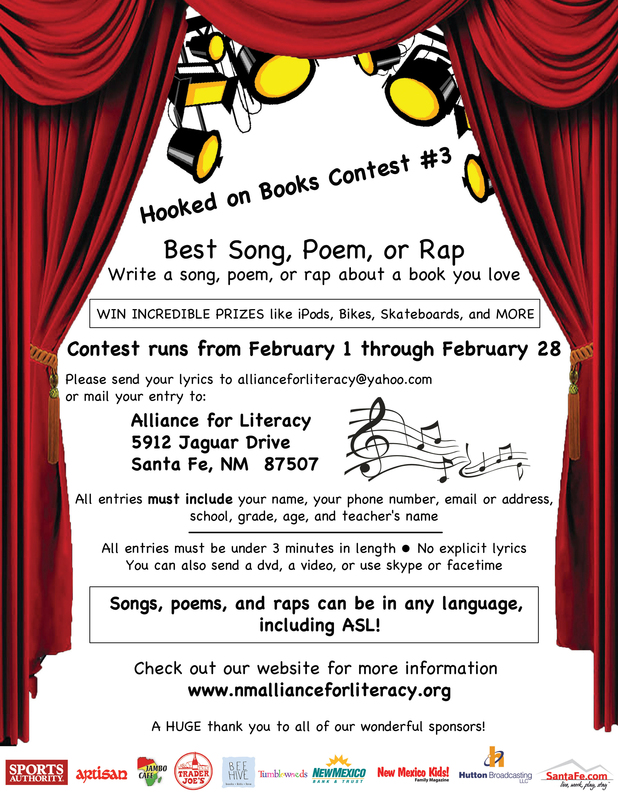 Contest # 3 winners will have the opportunity to showcase their winning work on March 3rd, at 6:00 pm at Warehouse 21 in a special show with the NM slam poetry champ Hakim Bellamy, local DJ’s and radio stations. Winners may either perform their own work or choose someone else to perform their winning work. 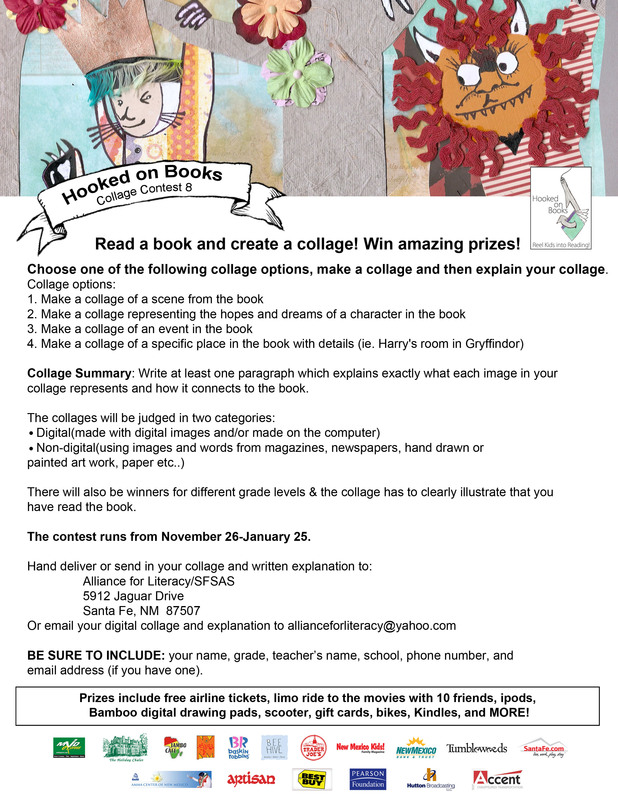 The class with the most entries will win a party from Trader Joe’s!